DO YOU LIKE TO PERFORM? DO YOU FEEL YOU’RE NOT BEING HEARD? WANT TO DO SOMETHING ABOUT IT? 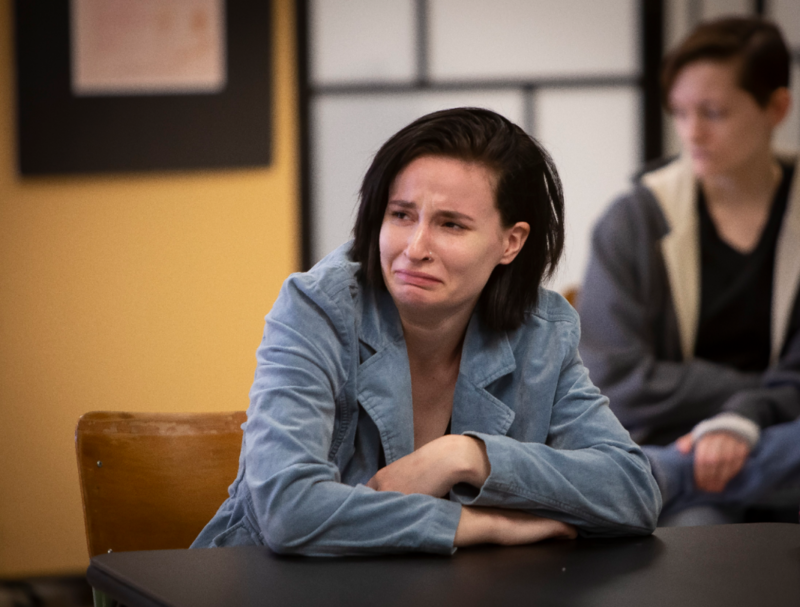 Reporting to the Artistic Producer, the troupe will be involved in the research, creation rehearsal and performance of scenes for a play based on youth issues during the winter/spring of 2019. This year’s play will focus on how to overcome negative issues around body image, self-esteem, media and peer pressure and eating disorders. To apply, please send an email outlining why you’d like to be part of this project and why you feel you would be a good fit, as well as a resume. 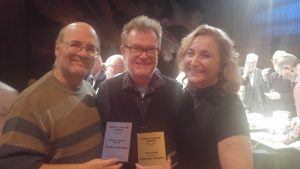 The Classic Theatre Festival’s Associate Producer Matthew Behrens, Board Secretary Stephen Dale, and Actor Catherine McNally celebrate at the National Arts Centre’s Capital Theatre Awards, where the Perth-based company was again recognized for artistic excellence. When members of the national capital region’s theatre scene gathered at the National Arts Centre on December 3, the Classic Theatre Festival was honoured with two Capital Theatre Awards, capping off its 9th successful summer season in heritage Perth. The 20th annual awards ceremony, organized by some of Canada’s top theatre reviewers, presented Toronto-based performer Catherine McNally with a Best Actress Award for her performance as Kitty Warren in the Festival’s 2018 production of the GB Shaw classic, Mrs. Warren’s Profession, which was directed by the Festival’s Artistic Producer Laurel Smith. In a new surprise category for an outstanding body of work in publicity and outreach, Festival Associate Producer Matthew Behrens was given the Audrey Ashley Award, named for the late writer who worked as the Ottawa Citizen’s music and drama editor for an unprecedented 25 years. Since the Classic Theatre Festival in Perth was founded by Laurel Smith in Perth in 2009, it has garnered consistently strong reviews as well as multiple awards nominations for artistic excellence. Smith herself was nominated this year both for Best Direction – her third nomination in the category since 2016 – and Best Production (again, her third consecutive nomination) for the nail-biting thriller Angel Street, aka Gaslight. As part of a company that appreciates Canadian theatre history, Behrens says it was humbling to receive an award honouring someone who played such an important role in promoting and documenting the capital region’s artistic milieu. The Festival is now busily preparing for its 10th anniversary season in 2019. 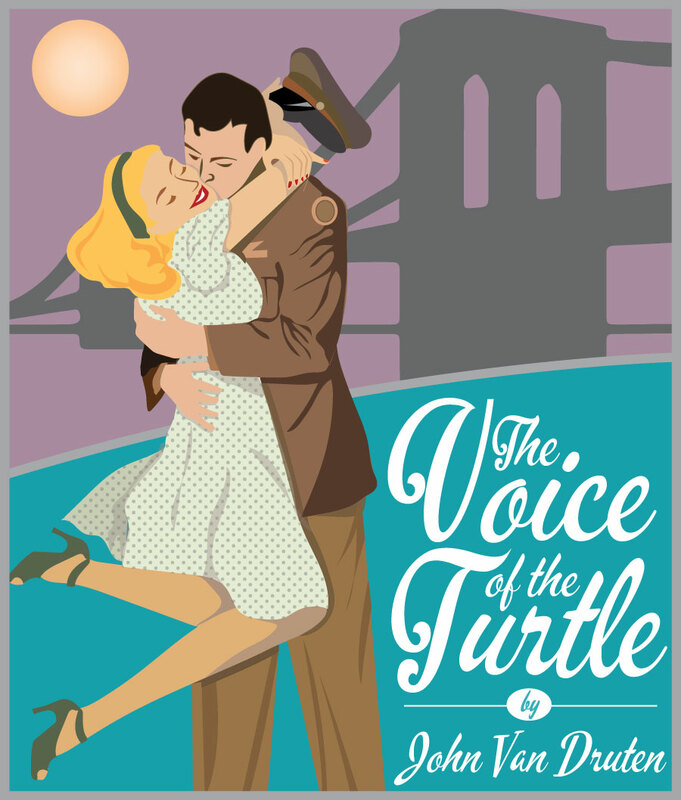 Next season’s mainstage offerings will feature the 9th-longest running play in Broadway history, the remarkable WW2-era romantic comedy The Voice of the Turtle (by John Van Druten); George Bernard Shaw’s most popular play, the hilarious Pygmalion (the basis for the musical My Fair Lady); and the longest-running comedy-thriller in Broadway history, Ira Levin’s Deathtrap (by the author of Rosemary’s Baby, The Boys from Brazil and The Stepford Wives). 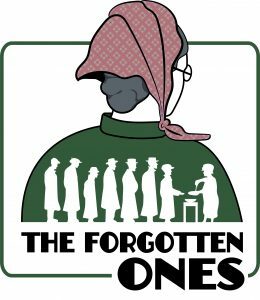 The Festival also plans its 5th annual season of Perth through the Ages theatrical walking plays with a brand new show on how residents of Perth came together to survive the Great Depression (running five mornings and two evenings a week). 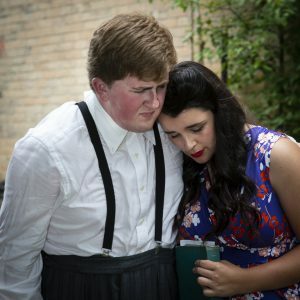 In addition, after the Festival’s huge success of its completely sold-out dinner theatre run at Michael’s Table, a new dinner theatre show will play both Tuesday evenings and Tuesday at lunchtime from June 4 to the end of August. 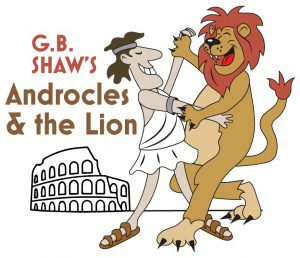 It will feature the Shaw satire on the Roman Empire, Androcles and the Lion. Those interested in enjoying deep discounts to the 10th anniversary season can receive 25% savings on a season flex pass between now and December 31, and they don’t have to pick their dates until next summer. “They make great gifts for holidays, birthdays, anniversaries, and ‘just because’ moments, too,” Smith says. Tickets can be ordered online at ticketsplease.ca or by calling 1-877-283-1283. Some of Canada’s top theatre reviewers have honoured the Classic Theatre Festival with three Capital Critics Circle Awards nominations for artistic excellence during their 2018 summer season in Perth. An awards ceremony will be held at the National Arts Centre in Ottawa on December 3rd. Laurel Smith, a Perth resident and the Classic Theatre Festival’s Artistic Producer, was nominated both for Best Direction – her third nomination in the category since 2016 – and Best Production (again, her third consecutive nomination) for the nail-biting thriller Angel Street, aka Gaslight. Meanwhile, Toronto-based performer Catherine McNally garnered a Best Actress nomination for the title role in the G.B. Shaw classic, Mrs. Warren’s Profession. It’s the third season in a row that the Capital Critics Circle has nominated Classic Theatre Festival shows: the 2016 season saw four nominations that were followed by an additional five in 2017. In the meantime, the Festival is busy preparing for its 10th anniversary season in 2019. 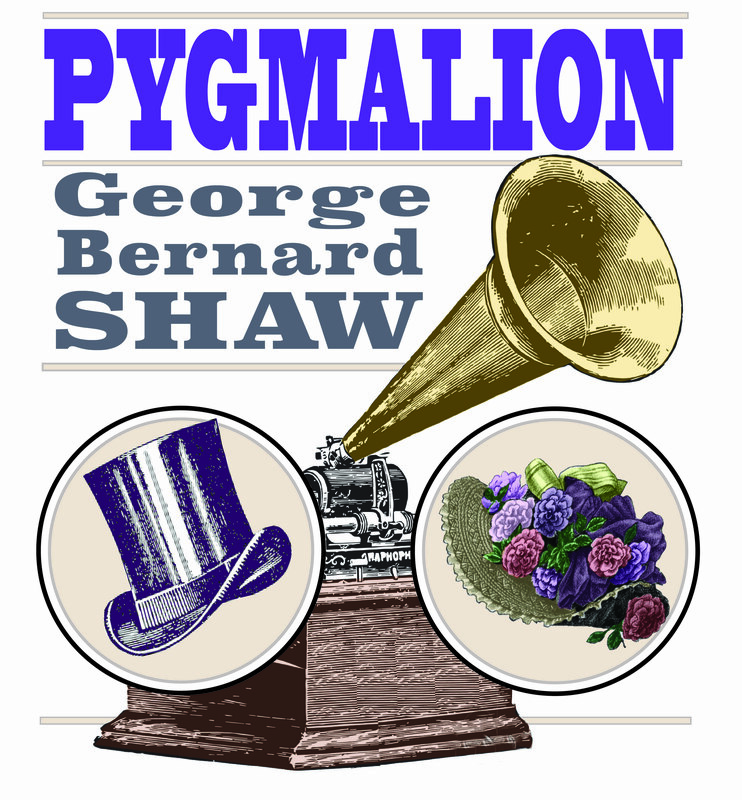 Next season’s mainstage offerings will feature the 9th-longest running play in Broadway history, the remarkable WW2-era romantic comedy The Voice of the Turtle (by John Van Druten); George Bernard Shaw’s most popular play, the hilarious Pygmalion (the basis for the musical My Fair Lady); and the longest-running comedy-thriller in Broadway history, Ira Levin’s Deathtrap (by the author of Rosemary’s Baby, The Boys from Brazil and The Stepford Wives). The Festival also plans its 5th annual season of theatrical walking plays with a brand new show on how residents of Perth came together to survive the Great Depression (running five mornings and two evenings a week). 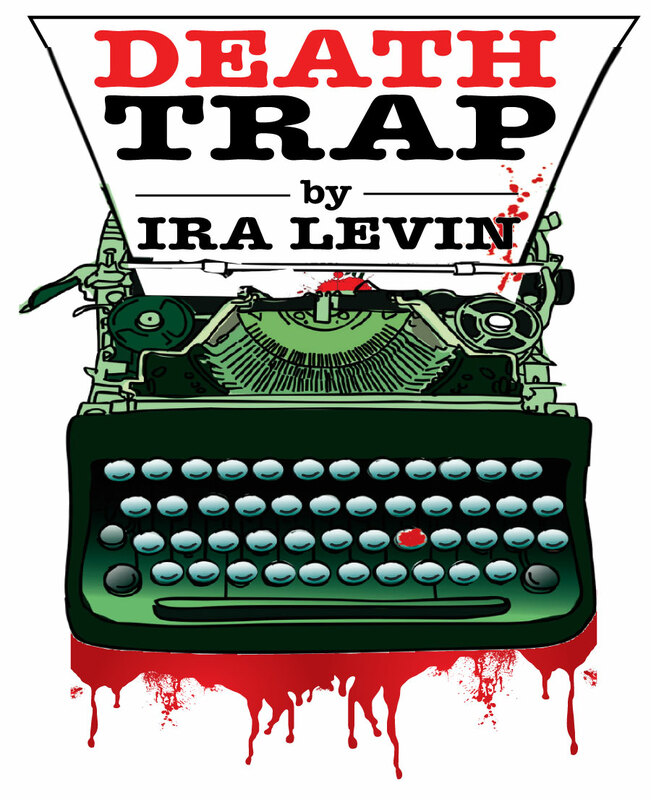 In addition, after the Festival’s huge success of its completely sold-out dinner theatre run at Michael’s Table, a new dinner theatre show will play both Tuesday evenings and Tuesday at lunchtime from June 4 to the end of August. An announcement of the lunchtime and dinner theatre show will be made shortly. Those interested in enjoying deep discounts to the 10th anniversary season can receive 25% savings on a season flex pass between now and December 31st, and they don’t have to pick their dates until next summer. “They make great gifts for holidays, birthdays, anniversaries, and ‘just because’ moments too,” Smith says. As the Classic Theatre Festival’s historic theatrical walking plays bring history to life, its performers and crew often meet those making contemporary history. 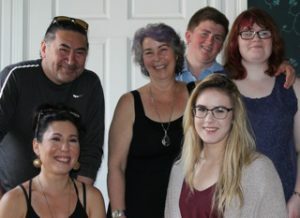 Last summer, troupe members were privileged to meet with MP Romeo Saganash (who has worked for over three decades to create and pass the United Nations Declaration on the Rights of Indigenous Peoples, and who authored a Parliamentary bill recently passed to adopt and implement the Declaration in Canada). They also met tireless Indigenous rights activist Leah Gazan, a member of the Wood Mountain Lakota Nation and co-founder of the #WeCare campaign to end violence against indigenous women and girls. 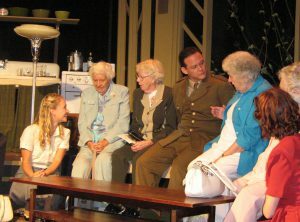 Saganash (upper left) is seen here with (clockwise, standing to sitting) director Joanna McAuley Treffers, performers Connor Williamson, Brooks Knapton, and Keegan Carr, and Leah Gazan (sitting, far left). 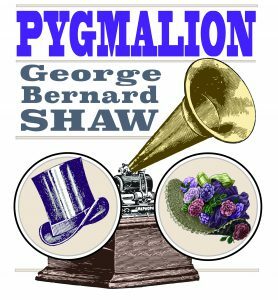 Every year, the Perth through the Ages historic theatrical walking play uncovers stories and characters from Perth’s past. 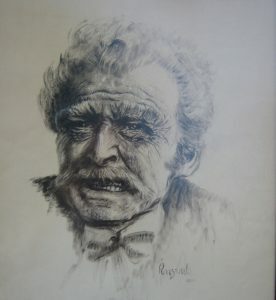 Often, a historic event or character will be supplemented by fictional creations who are true to the era and which aid in the development of the story. For playwright Laurel Smith, who writes both the morning walking plays and the evening Lonely Ghosts Walks, “I always find playwriting/storytelling to be a spiritual, mystical process, as well as a serious responsibility.” For the past two summers, her works have focused on historic wrongs committed against Indigenous people in and around Perth, one of many communities that was settled in what is still unceded Algonquin territory. Numerous histories of Eastern Ontario still rely on the inaccurate notion that this area was uninhabited until European colonizers arrived, ignoring the fact that the Algonquin people have lived in the area since time immemorial, and still do. Much of Algonquin history is either buried or paved over and renamed. In 2016, Smith’s play River of Memory reminded audiences that when Europeans first arrived in the area, they could not have survived were it not for the generosity and knowledge of the Algonquin people who were already here. The story focused on a young man discovering his Indigenous heritage following the death of his mother. Last summer, A Nation Lost and Found told a story of conflict at the time of Confederation, when a Scottish woman, Bridget O’Leary, experienced community disparagement after hiring an Indigenous man known as John Stevens to work on her farm. O’Leary was also criticized by her fiancé for helping care for Stevens’ baby, Marie. Over the winter, Smith was contacted by someone researching their family history. While Smith had consulted with representatives of numerous Algonquin nations to ensure the play’s historical accuracy, the Stevens name never came up in her research, and was instead, she thought, a fictional creation chosen to help represent Indigenous-settler relations at the time. But according to an email she received, the Stevens were in fact real people, and Smith’s choice of first names and approximate dates of both was uncannily in sync with family records. Indeed, Peter Stevens was the adopted name of Algonquin Chief Shawanipinessi, who along with his community at Bob’s Lake experienced an all too familiar tale of land dispossession and dishonourable treatment on the part of the Crown. The backdrop to A Nation Lost and Found was based on the less than savoury historical record, one of constant attempts by local Indigenous people to petition colonial authorities to end acts of violence and theft against the region’s first inhabitants. According to archival records, “The Government of Sir Charles Bagot granted a license of occupation to Shwanapenesi and his band of 90 or so souls in 1844. They lived on an island in the East Basin of Bob’s Lake. Shawanapenesi and the people of the community dreamed of having a sawmill, school and farms. In that same year, loggers arrived in the upper watershed of the Tay River and began felling timber on the 2000-acre Reserve. Men were beat-up, women were raped and the only valuable resource was cut and floated down river. As Joan Holmes wrote in a 1998 paper, Hidden Communities: Research Difficulties encountered in Researching Non-Status Algonquins in the Ottawa Valley, “The British Crown never entered into formal treaty relations with the Algonquin and Nipissing, despite the fact that the Algonquin and Nipissing repeatedly petitioned British authorities to compensate them for the loss of their traditional lands and the destruction of the resources upon which they depended for their livelihood. On several occasions, authorities acknowledged their claims but no action was taken. The social and environmental destruction wrought at Bob’s Lake was no aberration, but rather a pattern that was repeated throughout the territory. Despite Indigenous people originally befriending newcomers to the area, settlers took over more and more of the traditional territory, pushing aside Algonquin people with little regard for their cultural, material or spiritual needs, nor for the land that sustained them. For a number of years, Lanark Neighbours for Truth and Reconciliation have worked diligently to ensure such history is not forgotten, while also addressing the calls to action of the Truth and Reconciliation Commission. The Classic Theatre Festival in Heritage Perth, the Ottawa Valley’s only professional theatre company, is seeking applications for the position of Set Designer for the 2019 summer season (classictheatre.ca). 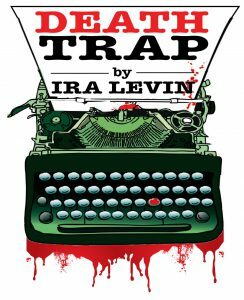 The three plays are: “The Voice of the Turtle” by John van Druten, “Pygmalion” by Bernard Shaw, and “Deathtrap” by Ira Levin. 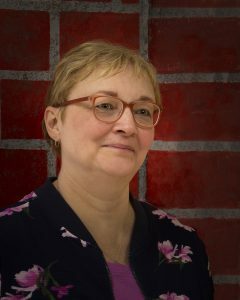 All three plays will be directed by the Festival’s Artistic Producer, Laurel Smith. 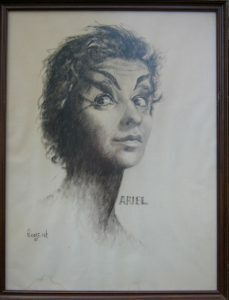 The Set Designer will be responsible for the design of all three plays, including all technical specifications (including masking flats and sightline design) and drawings (including a full colour elevation and/or maquette), supervision of the set build in coordination with the Production Manager, as well as design and acquisition of all props and set dressing. Please apply with a cover letter, resume and set design samples.